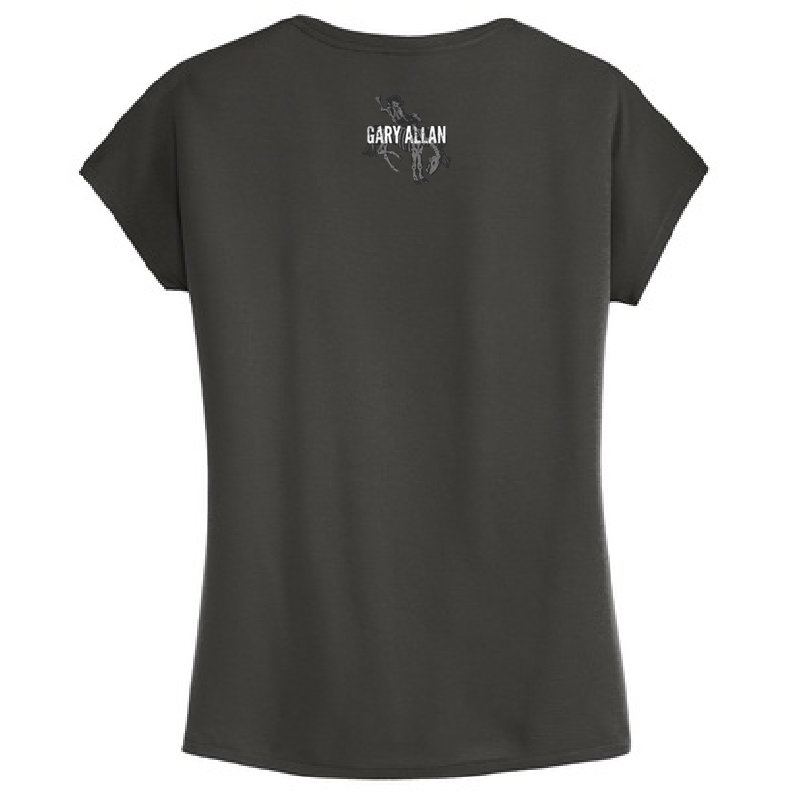 This is a ladies drapey dolam charcoal tee designed with a relaxed fit. 3.9-ounce, 70/30 poly/rayon, Dropped back hem. 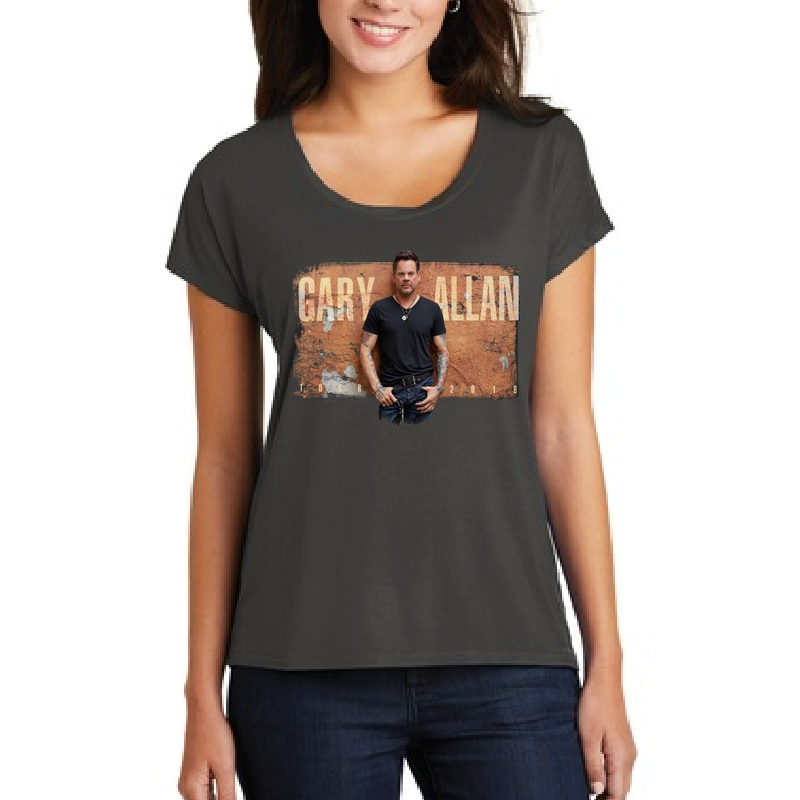 Photo of Gary on the front and bucking bronc logo on the back.